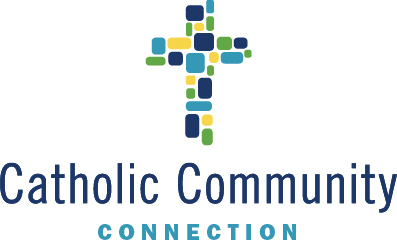 This past summer Catholic Community Connection sought out and hired eight fellows to work alongside members of separate Catholic organizations in the greater Cleveland area. Ursuline College senior, Haley Knox, is a Division II athlete playing soccer for the Arrows on scholarship. She is a business management major with emphasis on corporate social responsibility and sustainability. Her courses focus on ways to conduct business operations to support the environment and surrounding communities. Haley is also exploring options to attend grad school and plans to study green management and sustainable business management. She is considering furthering her education in Europe somewhere she believes will suit her best. Through the CCC program, Haley was offered the opportunity to work at Regina Health Center (RHC) under the supervision of her mentor Sister Kathy Andrews, CSA. When asked about her relationship with Sister Kathy the excitement in Haley’s voice was remarkable. Raving about how incredible Sister is, and her willingness to share her many experiences was very helpful in truly seeing the bigger picture. Haley went on to say, “Her spirituality made it very easy to be open and get along with her. Sister was very helpful by introducing me to residents and staff members which made the process easy and settling.” Even more outstanding, Haley explained was that Sister Kathy continues to keep in touch through text messaging and believes their relationship will never cease, only growing stronger. In the course of Haley’s fellowship at Regina Health Center, she worked closely with the human resources department. 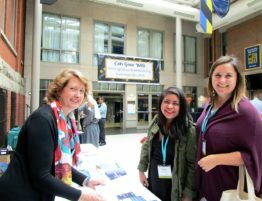 Explaining how fulfilling it was to see firsthand the impact she had on the residents, colleagues, and the organization as a whole opened her eyes to her own potential while having a more fulfilling experience than she had at any previous job. Her eagerness to work was evident in the many tasks she completed. Within a few short weeks she was able to remodel Regina’s entire performance appraisal, incorporating the health center’s values and mission statement and did this by illustrating that it would support motivation and setting goals. The talented UC Arrow also assisted in hiring two new employees who currently still work for the organization. Haley, personally found their applications and handled the phone screenings. The fellow also took part in quality initiatives such as redoing all of the communication boards so that it was more presentable for both staff and residents and, in addition, established an email update that offered events and news. Moreover, Haley made mention of the working environment at Regina Health Center asserting it was especially “welcoming, friendly, and spiritual.” She expressed her gratitude for the assistance provided by working closely with the Assistant Administrator Joyce Haynes. Working directly under Joyce, Haley commented “Even though she consistently had a lot on her plate, she always found time to stop and talk or help answer any questions I had.” Lastly, Haley acknowledged Mark Yantek, RHC’s Executive Director, and the effect his presence has at RHC. Mass is held every day at the facility, and Mark attends every Mass which really seemed to make the residents more responsive, and truly helps to build the overall spiritual community. The experience and skills Haley gained through her fellowship at Regina Health Center was immeasurable and she looks forward to applying her knowledge as she continues down a very bright and fulfilling path!